GREEN BROKERS.COM MARKET THE PREMIUM VALUE OF GREEN COMMUNITIES. As the national market data now clearly indicates, validates, and supports a green communities home has a substantial increased market premium value over conventional constructed homes. Consumers are now willing to pay more monetarily for the energy and water savings, improved indoor air quality, healthier lifestyle, indoor comfort, and increased environmental benefits associated with owning a green communities home. Additional green benefits of a green neighborhood home is they spend less days on the market before they are sold…..and green homes sell closer/above to list price! However, for a future sustainable home-owner to monetize their green communities home to their family’s advantage selecting a knowledgeable green broker is an essential part of the equation.Which is sometimes a forgotten after thought, however a green broker is the critical link in the real estate transaction! As green neighbourhoods grow in size and quantity contributing to the development of an emerging energy efficient sustainable green nation the sustainable home-owner, orchestrating the collaboration between the green broker, green appraiser and informing the green broker a green mortgage is requested thereby forming the strategic triangle of tacit knowledge is essential to completing the fiduciary desired result for each individual homeowner! Therefore, recognizing, locating and selecting a knowledgeable green broker is the primary focal point in the green communities transaction. There are now specific national market designations that can help and facilitate the sustainable home-owner in their quest to locate a knowledgeable green broker to represent their individual interests. NAR. National Association of Realtors green designation started in 2008 to educate generic real estate brokers to the specific intrinsic value and benefits of green communities financial transactions. Through continuing education in green building, energy efficiency, green ratings, and sustainability over 4,000 individuals have been awarded NAR’s certified green designations. Recently NAR has expanded its sustainability courses to continually educate their Realtors. It is interesting to note there is no green Realtor designation, as the word Realtor is a national registered trademark and descriptive phrases are not authorized/allowed to be used with the famous Realtor moniker/trademark. 71% of agents and brokers reported that EE in listings is either somewhat important or very valuable. Thirty four (34%) stated improving the energy efficiency upgrades for conventional homes. Forty(40%) stated they are confident in their ability to connect with green mortgages. Thirty nine(39%) stated that solar panels increase the perceived value of the property. Therefore over sixty percent (60%), 6 out of ten NAR designated green Realtors cannot answer clients basic questions about energy efficiency, conventional home energy efficiency upgrades, dedicated below market green mortgage financing or even comprehend the increase monetary value of solar panels which are now mandatory in all California homes starting in 2020..Thirty percent of Realtors completely fail to comprehend the value of the green MLS. Gathering and collating green data metrics to be benchmark for green appraisals and green mortgages. These April 24, 2018 revealing statistics,clearly indicate many of these NAR green designee’s need to guided by a knowledgeable sustainable homeowner regarding their largest investment a green communities home. Eco broker was founded in 2001 by Dr. John Beldock to provide sustainable education, environmental and energy efficiency training to generic real estate agents. With thousands of knowledgeable agents located through out the United States, Caribbean, Mexico and South America. Eco broker offers continuing education curriculum and tools to facilitate the sustainable homeowner. Real estate agents become knowledgeable with green building techniques, all types of green features, energy efficiency building, and high performance homes. There are numerous risks presented to each individual green broker and green appraiser. One such possible risk that arises is using the term “greenwashing” to designate that a green communities home is not built to a recognized green building certification! This is a significant problem that constantly arises nationwide! Adding to the confusion to the future sustainable home buyer. While each individual MLS platform will implement their own, green data form almost every MLS platform is unique and different. Currently only 43% of MLS directories nationwide have adopted and implemented green data fields. However, these green data fields are left used or filled out improperly! With liability all ways an issue, It is beneficial for a broker to be cautious! Additional errors and omission risk (E&O) occurs if the conventional listing agent fails their fiduciary responsibility to accurately identify all types of green/sustainable features and properly attach them to all searchable MLS data fields for green appraisers and future home buyers can review the documents. Potential conflict arises when the listing agent is unqualified or unable to accurately document the age, capacity, depreciation and energy output from rooftop solar voltaic systems, geothermal, or residential storage battery. The Better Building Home Energy Information Accelerator (RESO) which is the real estate industry data standard authority has developed a five level program to accelerate the development and implementation to green all the Multiple listing Service (MLS) directories through out the country. The program consists of five data dictionary certification levels, Core, Bronze, Silver, Gold and Platinum. The RESO program will be rolled out nationally from 2016 until 2020. Continuing green education is the key to each independent certified green broker and green appraiser. Examples of possible points of confusion filling out the green data fields could be, but not limited to: including attic radiant barrier, upgraded attic and wall insulation,(increasing R value), radiant heated floors, dual pane windows, (many recognized green certifications require triple pane windows). Properly documenting if solar panels are leased or owned. Identifying all types of water efficient fixtures, faucets, shower heads, toilets, outside irrigation, grey water water recycling systems, hot water tank blanket, on demand hot water heater! Recognizing the importance of the proper numerical HERS rating! In Colorado within a certified billion dollar Energy efficient green community. Very few real estate brokers in over 18 years have properly documented a numerical HERS score. The Hers score is completely missing from the green real estate listing! The generic real estate broker focus has shifted to how close is the home to a pocket park? What neighborhood is the home located in? Each NEIGHBORHOOD HAS ITS OWN “VIBE”? The average sale in this green community is now $600,000 dollars! With a market low 6% real estate commission listing agreement, the monetary value of this Hers score is $36,000! This is the current state of affairs in the Colorado market. Not only is this vital information missing from over the majority of the certified green home listings, almost every real estate broker identifies themselves an expert in this community? This incompetence will be eliminated in the future, these negligent brokers are in for a rude awakening and will be quickly terminated or held liable. Home energy scores are now mandatory consumer disclosure in Portland Oregon and Berkeley California. 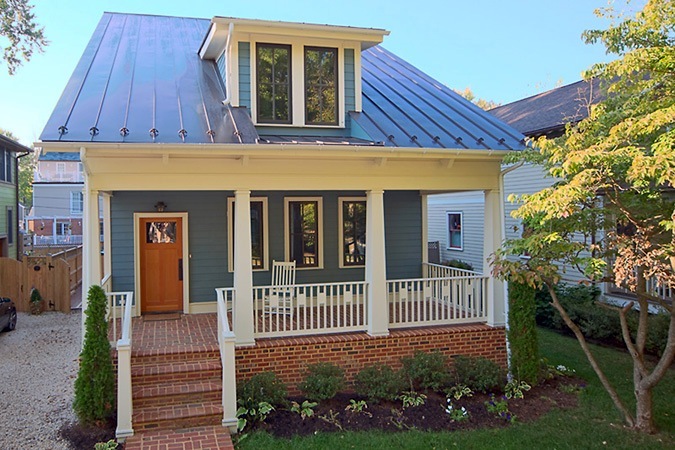 Sustainable home buyers have now realized the value of a valid green certification, which identifies homes that have indoor comfort, energy and water efficiency, and allows home owners to be actively involved in fighting climate change! Twelve percent (12%) of residential homes contribute to green house gas emissions which effects climate change. Green building has now been identified as the low hanging fruit to fight climate change. MISSING HERS SCORE INFORMATION FROM LISTING! Examples of additional green documentation for each individual MLS platform would include the green certifying entity ie: Leed, Energy star, NGBS, HERS score, Additional items that could be included would be the walkscore and climate zones. Green brokers assemble the certified third party green documentation which is essential to validating the authenticity of the green communities home and is a structured attempt to eliminate green washing or making false claims concerning the validity of certified green neighborhoods. This additional green documentation will give the knowledgeable greenbroker an opportunity to speak, educate and collaborate with the potential sustainable homeowner. The green broker will then properly fill out the national MLS green data fields which can now be searched and utilized by green appraisers, green brokers, green lenders, and incorporated into green appraisals for comparable properties local and nationwide. Future MLS expansion includes aggregation and bench marking to conventional construction for real estate com parables. (comps). This benchmarking will further document the additional premium value green certified real estate brings to the national market. This green broker MLS bench marking will also show the continual falling market value of conventional real estate. Global warming is now a reality, with a 95% consensus among climate scientists. There is very few if any disclosure requirements required by law concerning purchasing or selling green certified real estate in a global warming zone. Slowly home purchasers are being blind sided by the undisclosed additional economic costs of purchasing a home in a global warming region. Green brokers are experts in identifying risks in global warming areas. One such example would be the rising cost of flood insurance, currently not required to be disclosed. 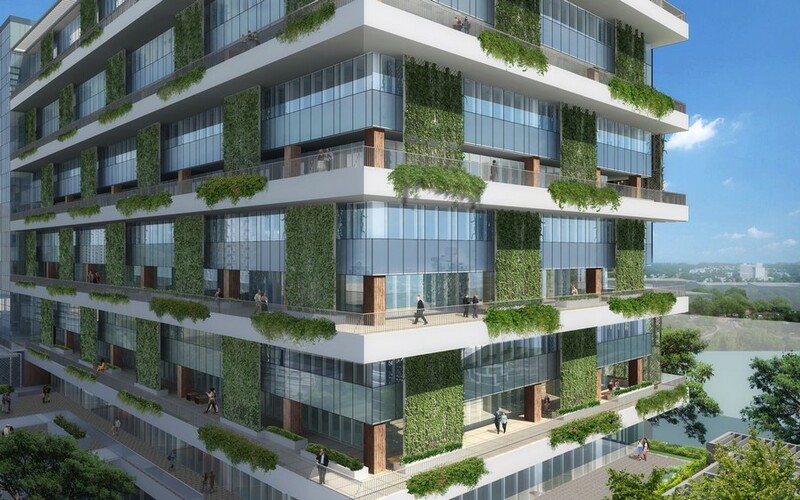 As green residential construction comprises only a small segment of the green building market. The certified green commercial market is exploding worldwide! Some of these green brokers take the next step in their green careers and become more specialized and knowledgeable sustainable brokers, representing tenants, landlords, real estate developers and real estate investment trusts (REITESG) intimately familiar with the sustainability requirements of worldwide corporations. Sustainable brokers are commercial green property experts, acting as a knowledgeable liaison, comfortable articulating the enhanced value proposition of energy efficient investments to potential tenants and building owners. Supplying the perquisite assessment documentation concerning the operational cost savings, which can average 30% more, increased top line(gross) revenue from rental premiums, faster tenant acquisitions, retention of existing tenants, and comparable commercial sales juxtaposed to conventional commercial buildings. Sustainable brokers are now able to document specific “green metrics” and compatible corresponding (esg metrics) which are now being requested by 75% of respondents, and furnish complex sustainability information concerning the commercial buildings CO2 emissions footprint. This periphery supporting documentation influences the green appraisal value of the building. Which in turn thereby effects the green underwriting financing which can be substantial. In the event SBA green 504 financing is obtained, The owners equity requirement is reduced to as little as 10%, a reduced interest rate over the lifetime of the greenmortgage can yield hundreds on thousands of dollars saved. As sustainable brokers continue to provide the preliminary documentation supporting the “green metrics” for commercial buildings. This will supply the necessary baseline database for green lenders to eventually develop a green mortgage specifically designed for commercial green buildings. As the green net operating (green noi) income is being fully recognized by the worldwide green securities market. Corporations now have designated sustainability officers, release annual sustainability reports to their stakeholders, have environmental stewardship responsibilities that impact their organizations values, governance and market capitalization. Annual sustainability reporting can include: potential risk factors, rare earth minerals acquisition, supply line problems, water consumption and its world wide supply line effects, identifying and disclosing stranded assets which are now making their appearance on the international stage and are now required to be disclosed to financial stakeholders. Additional disclosures include: ethical labor violations, Co2 carbon emissions, greenhouse gas environmental impact, and now disclosing environmental social, governance (ESG) metrics. Green building has now become a competitive differentiator in the residential home building market and all types of commercial buildings including: office, industrial, warehouse, multifamily, schools, churches, hotels and now parking garages. All types of corporations are now constructing certified green buildings and seeking out sustainable brokers for legal representation, due to their specialized green knowledge and unique ability to value net zero real estate, certified commercial green buildings and intimate knowledge of the commercial energy efficient addendum to comply with their annual sustainability reporting requirements. Conventional commercial buildings are now being renovated(retrofitted) to certified green construction which now comprises thirty percent of the market annually. Due to the numerous benefits that certified green construction offers. Energy represents thirty percent of a commercial buildings operating costs and is drastically reduced under a recognized green certification. Sustainable brokers can be proactive as green agents offering market guidance on preferred innovative green renovations being sought after by sustainable corporations. Hidden utility costs can dramatically effect the: marketability, appraised value, and market capitalization of conventional commercial real estate. With sustainable brokers continued cutting edge green education, older commercial buildings can now be renovated with market changing green features that position the conventional building competitively in the marketplace. Retro fit green upgrades being introduced into the marketplace can now include: Upgrading indoor air quality and eliminating contaminating VOC’s with ultraviolet smart HVAC systems that increases employee productivity. Photo voltaic spandrel panels, for the exterior of the building, solar glass panels which vary in degree of thickness, walkable solar floors, solar skylights, solar urban furniture, solar driveways and solar parking lots. Wirescore a sustainable broker resource, is an international internet connectivity certification that can have a substantial effect on commercial real estate value. With no transparency around internet connectivity..the lifeblood of all business. Obtaining one of four certifications levels (platinum, gold silver or certified) can increase retail rates up to seven dollars a square foot for each level of wirescore certification. The walkable solar floors are offered in a variety of colors with an LED back light system designed to enhance the interior of the building. 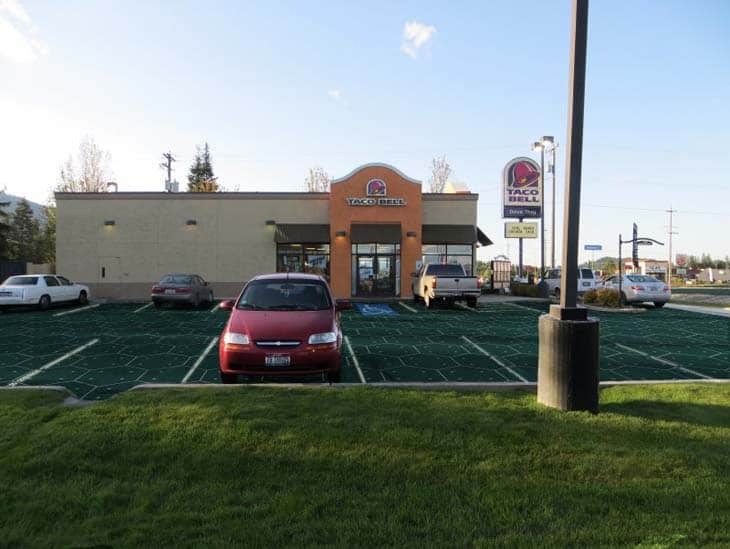 The durable solar roadway panels can be used to construct driveways, parking lots and roadways. These flexible intelligent panels can display customized LED lighting permanently eliminating exterior painting maintenance to identify: crosswalks, handicap areas, individual traffic lanes, and provide early warming systems of weather events. These green feature upgrades effect the deferred maintenance costs of commercial green properties, thereby increasing the annual cash flow of the commercial facility. Using sustainable brokers green expertise regarding green certifications and green features, employees are more productive, improved health and well being, less employee absenteeism. Improved indoor LED wireless smart lighting resulting in 20% employee efficiency gains. Buildings strategically positioned on the building lot to allow more direct daylight to enter the building, thereby creating fewer headaches improving employee productivity. Sustainable brokers are experts in Leed certification, Wellness certified, Energy star, green certifications, corporate resource management and certified green building operational efficiency. By lowering monthly utility costs (gas,electric,water) and maintenance costs improves the net operating income (green noi) of all types of commercial buildings. This in turn effects the capitalization rate which dramatically effects the appraised value of the commercial building. With employees spending 90% of their time indoors, indoor air quality is a relevant issue. Green certification improves ventilation and keeps toxins out of the indoor air. Indoor pollutants are numerous such as: radon, mold, dust mites, adhesives, formaldehyde, bacteria effecting employees respiratory systems. The UAE and Singapore have national indoor air quality laws in effect for all their commercial buildings. In the next ten years IAQ will become commonplace, and will be documented for every piece of residential and commercial US real estate.This numerical number will be added to each real estate listing agreement. This single IAQ element will become the deciding factor on which piece of green real estate will be occupied, rented, or purchased by the 30 million asthma suffers in the United States. Previously subjective indoor health and wellness benefits can now be documented and measured using the deep green retro value guide. Recognizing the importance of indoor air pollution, on April 19, 2017 Delos which is a pioneer and certifies well real estate made a strategic investment and joint ventured with Naava, a Swedish smart green wall technology. Naava’s smart green wall technology uses biophilic design elements which actively draw polluted airborne containment’s through the root zone of indoor plant wall, which reduces the harmful indoor pollutants. Thereby producing fresh natural air in the indoor environment. Future research will document and quantify the efficiency of the green walls for removal of airborne contaminants. Currently there are over 1,000 smart green walls installed in residential and corporate Scandinavian buildings. The smart green walls will be manufactured and assembled in New Jersey and introduced into the United States indoor environment. Sustainable brokers are experts in measuring indoor productivity and the emerging area of green leases. A green lease is a binding legal agreement, designed to promote energy efficiency aligning costs and benefits of efficient solutions between a tenant and a landlord. A green lease provides transparency to all parties involving building performance. Building performance can included the types of green construction materials used, tenant sub metering, operating energy costs, green covenants and on going future green compliance are just some of the issues to be negotiated between tenant and landlords. Recently the green lease has been upgraded to include a market pioneering “net zero lease” designed for net zero real estate buildings that supply the tenant with an annual budget for energy consumption that is compatible with the buildings on site renewable energy source. (Solar panels, storage batteries). Sustainable brokers can use their strategic knowledge of the green appraisal addendum. prioritizing renewable energy upgrades for the highest return on income(ROI). Aligning energy efficient upgrades with building life cycle financing. This would accrete value through multiple ownership transitions. Sustainable brokers are now creating strategic alliances with Sustainable lawyers who implement artificial intelligence (AI) machine learning in commercial real estate transactions for commercial location decision making, commercial valuations and green appraisals. Ai can now scan net zero leases and is trained to recognize legal concepts processing raw data and help structuring net zero legal leases. On May 1, 2015 president Obama signed The energy efficient improvement act of 2015 HB 535. This bill creates the first government endorsed label called “tenant Star” a close cousin to the nationally known Energy star certification. Currently Energy Star, LEED and all other certifications measure the entire building performance for energy efficiency and water savings. Tenant star is designed to measure individual sub metering leased spaces in commercial buildings. Individual tenants can account for up to sixty percent of the energy consumption in large commercial buildings. Tenant star is a voluntary framework designed to align tenants and landlords to install in the design phase and measure tenants individual energy consumption. There are three key areas that the new program will impact, electrical plug loads, lighting, heating, ventilation and air conditioning. The Department of Energy will study from the private sector, build a national database of individual tenants with large energy consumption, such as data centers on trading floors, solicit public comments and will develop national benchmarks to recognize high energy performance in commercial buildings. Market roll out will take several years, One initial problem is that many of the large commercial buildings are not sub metered, thereby adversely effecting the initial collection of data. Sustainable brokers will use the Tenant star label to provide branding recognition for property owners, for tenants who are in a competitive market to attack top employment talent. Interior office space dramatically effects employee productivity, and wellness. The new market driven brand, tenant star could easily be expanded to include other relevant components, indoor humidity, and plants. Large institutional building owners and REITs could implement the tenant Star initiative across an entire portfolio of commercial buildings, Thereby positioning the commercial properties in the top tier of energy efficiency, with payback periods of less than five years. LEED, Energy star and Tenant star provides nationally known certifications that will effect the green NOI, and market capitalization on the world wide green securities market. The Empire state building was retrofitted in 2009 at a cost of 600 million dollars and has served as a model for green renovation. The building now saves 4.4 million dollars per year, a thirty eight percent savings on annual energy efficiency! Once the Empire state building was green renovated, Sutter stock, Linkedin, FDIC and Skanska all moved into the building, Sustainability is a corporate value, improved employee comfort, productivity, and the ability to individually monitor their own commercial space. As the green building market continues to evolve towards net zero building. Green stakeholders will form strategic collaborations and adopt analytical sustainable tools such as: climate scores and flood scores which will be structured into the green underwriting market. Climate risk is now real and will be factored into green securities. Specifically ESG metrics. To advertise, joint venture, with Greenbrokers.com or inquire about of our category defining domain names!